Beyond Capital is a full-service real estate development team at Compass, providing world-class customer service and specializing in the sales and leasing of new developments across New York City. Led by founder Mirza Avdovic, the team brings confident decision-making expertise, accurate data, accountability and indomitable character to New York City's real estate market. With expertise in a multitude of real estate disciplines from research and analysis to investment development and construction to market sales and leasing - Beyond Capital is vertically integrated and able to bridge all portals of real estate under one roof. This nimble approach allows us to maximize returns and investment profits for our sellers, buyers, investors and developers. 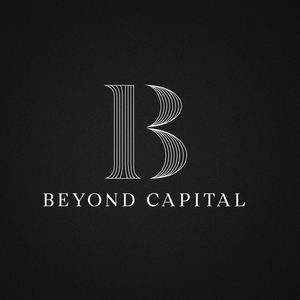 Beyond Capital consists of a team of six agents who cover all areas of real estate, from residential sales, investments and rentals, commercial consisting of mixed-use buildings and acquisition of development sites. Our impressive success stems from our ability to position our projects and acquisitions from start to finish. Furthermore, when it comes to our clients, we believe that bespoke marketing solutions, coupled with client and data transparency are key to solidifying a relationship and moreover providing actionable results. Beyond Capital's various divisions include the research and planning, product development, creative branding & marketing and sales. Our team provides real estate expertise to the New York City market and have partners across the country in Los Angeles, San Francisco, Miami, Chicago and New Jersey.